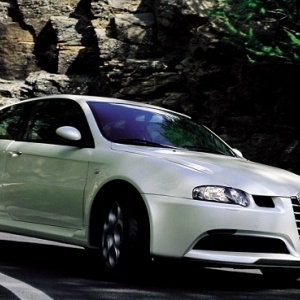 Introduced in 2002, the 147 GTA was the top-end hatchback in the AR lineup. The high-performance muscular hatch stayed in production till 2005. 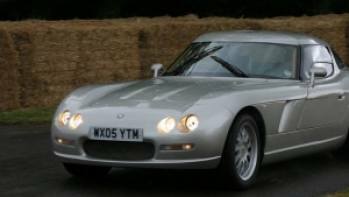 The 5-seat two-door hatchback was based on the 147 designed by Wolfgang Egger and Walter de'Silva and borrows the more aggressive look of the Visconti concept, the Brera and 159 models. 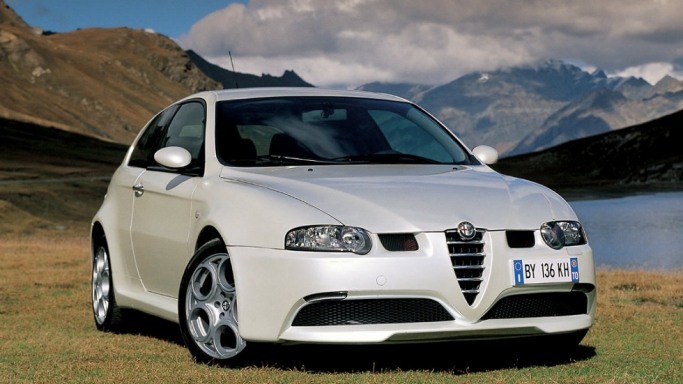 Compared to the exterior, the interior of the Alfa Romeo 147 GTA doesn’t possess the same level of pizzazz though its duo-chromatic interior can be refreshingly dark for minimalists. 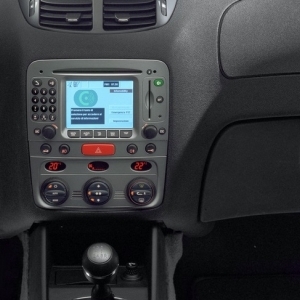 The cabin comes with a metalluro central glove compartment and has its pedals and footrests finished in aluminum. 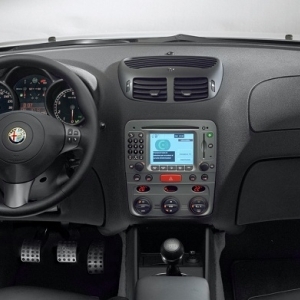 The interior borrows liberally from the Italian sports car styling staples of the past. 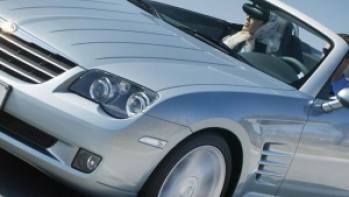 On the seat, a horizontal pattern evokes the car’s history while cloth upholstery provides maximum comfort even in hot weather. 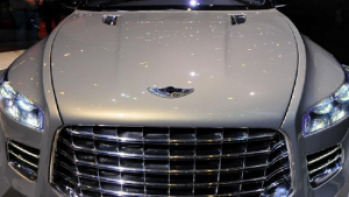 Leather upholstery is offered as an option. 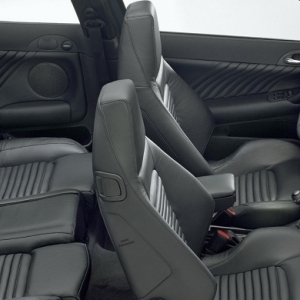 The wrap-around seats stress the Alfa Romeo 147 GTA’s sporting temperament with the multi-function display which features a screen for the engine oil temperature to keep drivers in sync with the car’s performance. 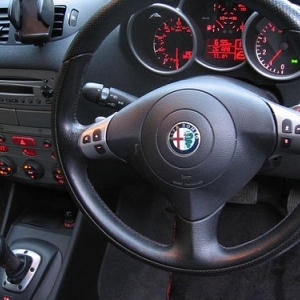 A black background on the instrumentation is matched by a three-spoke steering wheel. 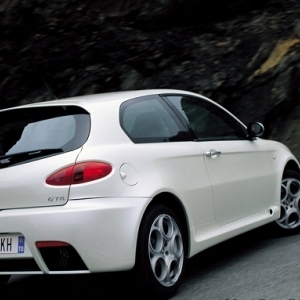 Alfa Romeo 147 GTA features a stronger and sportier look. 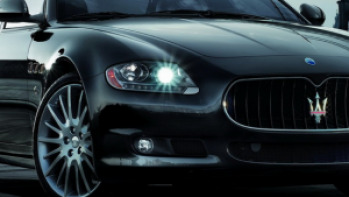 Firmly anchored to the road, the beautiful, aggressive car sports a few stylistic changes that impact on the car’s dynamics while retaining the legendary silhouette of the Alfa Romeo. 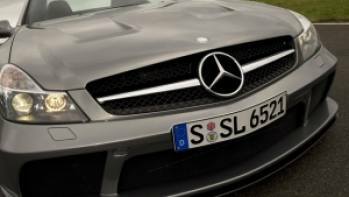 The lengthened hood at the front accentuates the aggressive side profile while 17- and 18-inch wheels allow the car to stand proud on the road. 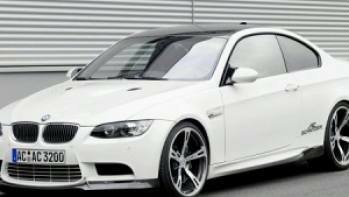 With an aerodynamic function, the large "extractor", twin tailpipes, clear indicator lenses and larger fenders marry perfectly with the larger bumper at the rear. Flanked by additional intakes, the fang-shaped grille is the 147's trademark and allows the vehicle’s additional sill skirts, sharper-creased flanks and beefier wheel arches to stand out as stylistic features. 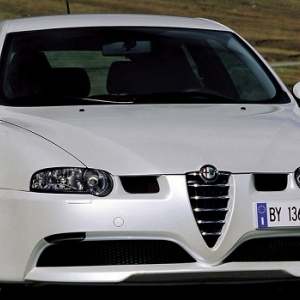 The Alfa Romeo 147 GTA is offered in the exclusive Cloud White finish as well as a choice of 10 body colors.